Ford CEO James Hackett is splitting responsibilities for fixing the core business and preparing for an uncertain future between his 2 top deputies. Why it matters: The management changes come as Hackett, nearly 2 years into his job as CEO, is still struggling to get his footing in a fast-changing industry. On Tuesday, Hackett tamped down expectations about self-driving cars in a speech to Detroit-area business leaders. What's new: Ford named Joe Hinrichs president, Automotive, and Jim Farley president, New Businesses, Technology & Strategy. Hinrichs, a manufacturing expert, will guide product development, automotive manufacturing and global operations. 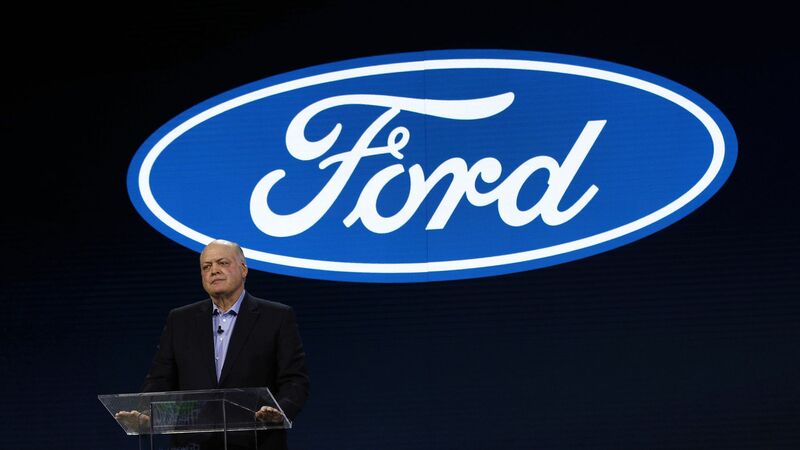 Farley, a marketing guru, will lead Ford's future direction, including mobility as a service and driverless vehicles. Marcy Klevorn, Ford's top-ranking woman, will retire in October, the company said. Until then, she will serve as "chief transformation officer," reporting to Hackett.